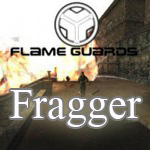 So if you are interested in Mailaddresses like fragger@flame-guards.com, just post your desired FG-Address here or send a pm. So if you want to email me, you should send it to cybershot.flame-guards.com and not cybershot@flame-guards.com? cybershot wrote: So if you want to email me, you should send it to cybershot.flame-guards.com and not cybershot@flame-guards.com? 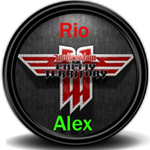 @rioalex: i need the e-mail where i should redirect to. you can also have a mailbox. you can view your e-mails via browser and a link then. i'm sure there are more requests to come. everyone wants a fancy @flame-guards.com e-mail address! give me one 2!! stupid.flame-guards.com!!!!!!!!!!! thats really cool need 2 think of it!! !